The William McDonough Scholarship Program was developed to encourage education and provide education assistance for postsecondary study. A leading architect, visionary, and author in sustainable design,William McDonough’s work draws inspiration from living systems and processes. William McDonough and his firms, McDonough Innovation, William McDonough + Partners, and MBDC encourage all designers who share the same values to pursue their dreams in designing a world our children deserve. Follow @billmcdonough on Twitter for the latest firm news and project updates. He is the architect of many recognized flagships of sustainable design, including NASA’s Sustainability Base in California. To learn more about this project and others, check out ArchDaily’s spotlight on William McDonough. McDonough is invested in educating his colleagues and industry influencers on design; what he defines as the first signal of human intention. On this principle, which is still recognized today, McDonough has authored several written works and has been invited as a featured speaker at major events around the the world. 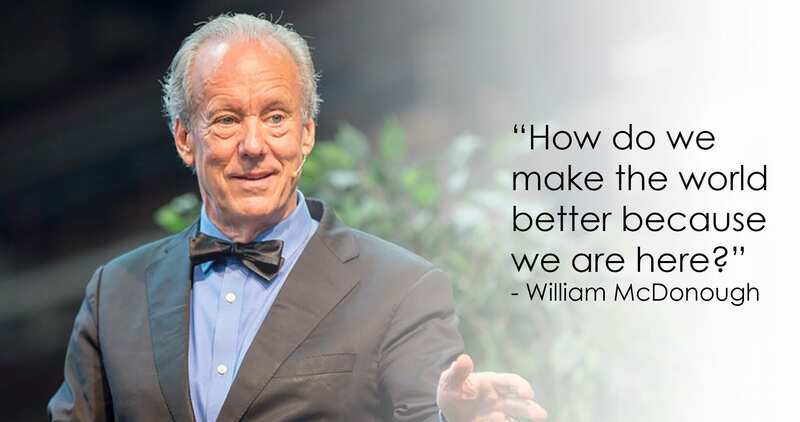 To see his most recent keynotes and other interviews, visit the William McDonough YouTube Channel. Through his work, McDonough has continually been involved in working with number of Universities. At the University of Virginia he served as Dean of the School of Architecture from 1994 until 1999 and is a founding member of the University of Cambridge Sustainability Leadership Council. Additionally, McDonough sits on the Board of Trustees for Sustainability at Arizona State University. With Stanford University, McDonough began a unique partnership to become the subject of Stanford University Libraries’ first “living archive,” a real-time collection of his work, writings, and communications. Read William McDonough’s Full Biography to learn more about his work. What is the William McDonough Scholarship Program? The William McDonough Scholarship Program provides financial assistance to students who are pursuing post secondary study in architecture, design, sustainability, or other related field at an accredited two- or four-year college or university of the student’s choice. Recipients will have demonstrated outstanding leadership and exceptional academic performance. Students must have received a high school diploma or equivalent from a U.S. school and must also have a minimum 3.0 grade point average on a 4.0 scale or its equivalent. Finally, applicants must be a U.S. citizen and plan to receive a bachelor’s degree. When is the William McDonough Scholarship Program deadline? The deadline to apply for the William McDonough Scholarship Program is 03/30/18. Apply today, by filling out the application form at the bottom of this page. View and download resources from the office of Federal Student Aid. Utilize the scholarship database from Bestcolleges.com to search for more aid opportunities. U.S News: College Financial Aid Terms Defined. Scholarship America: Where to start.